Oh happy day – the weather is finally getting warmer here in Philly which has me craving warm weather eats which is why I picked a slaw recipe for this month’s Secret Recipe Club reveal. This month, I got paired with Jamie @ Our Eating Habits – she lives in Calgary (a city on my travel bucket list!) and blogs about all the recipes from cookbooks and blogs she tries out as well as reviews of restaurants she visits with her family. There were some very tempting, crave-worthy recipes I toyed with making like BLT Penne or Bean Burrito Pie but in the end, the Cran-Broccoli Salad won out. 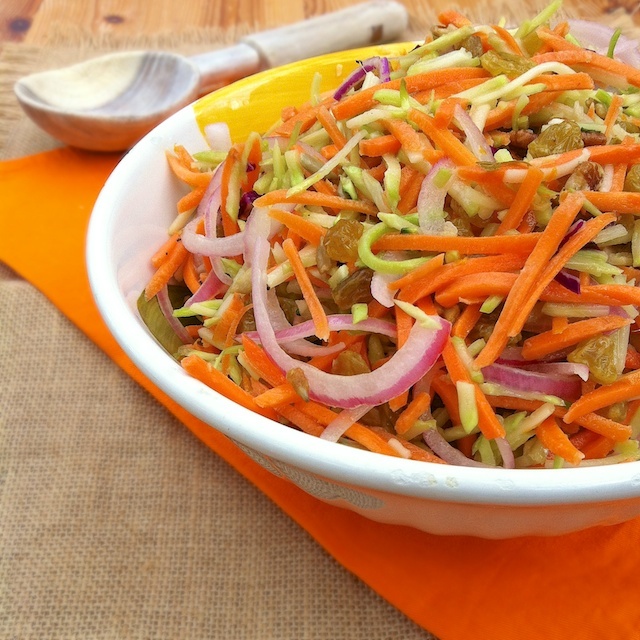 Broccoli salad, broccoli slaw, cole slaw, carrot salad – whatever you call it – a shredded veggie salad is a must have side at any barbecue, in my humble opinion. Creamy and cool, it’s a great way to get some extra veggies into your day – as long as it’s not loaded down with lots of mayo or oil which is a total bummer because you really can’t taste the true flavor of the ingredients. Whisk together oil, vinegar, mustard, syrup, garlic, orange zest, pepper and salt. 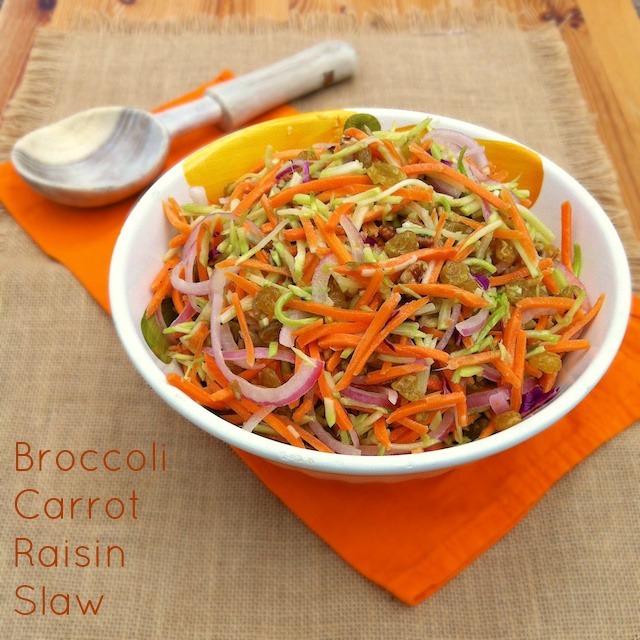 In a large bowl, mix together broccoli, carrots, raisins and onion. Pour dressing over slaw and toss until thoroughly mixed. Refrigerate at least 2 hours. Right before serving, mix in pecans and sunflower seeds. What’s one of your favorite sides for summertime meals? 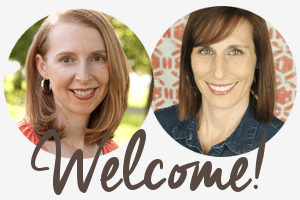 Do you like slaws – have a favorite recipe to share? I love summer slaws and as we are having a heat burst in fall, I will make this tonight, to go with our BBQ! Thanks so much for your comment, Tandy, and your troubleshooting help from halfway around the globe – much appreciated 🙂 Let me know how the slaw turns out 🙂 Now I’m off to check out your Basil Shortbread recipe…. I’m so glad you liked the salad, you are right about the mayo, usually masks all the other flavors, I love all the color the carrots added, I will be adding them to mine next time I make it as well! This looks really good. Healthy and yummy! Can’t wait to try this! Made this last night for my vegan dinner. Added more pecans to mine for added protein. Great flavors!